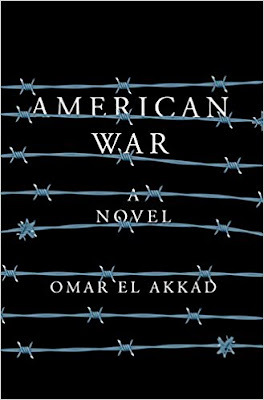 Omar El Akkad's American War: A novel is so tremendously successful because the author is able to transplant events and circumstances that Americans think of as happening over "there" to here. This is the chilling aspect of the novel. What we see now, the shrinking of American economic and military power, our retreat into tribalism/regionalism, the massive gaps in income and ethnicity that are widening in our society, and environmental degradation become, in American War, our social and political reality. This unmasking of American exceptionalism makes for sober and scary reading.